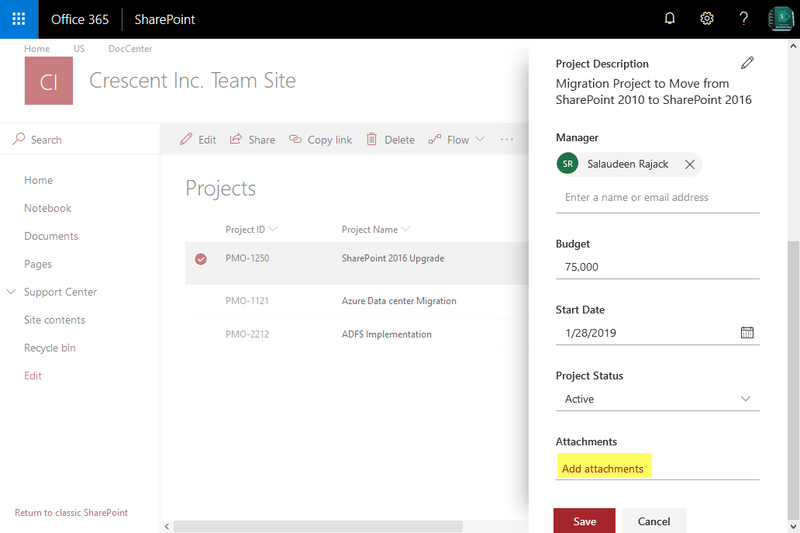 SharePoint Online: How to Add Attachment to List Item? Edit List Item >> Scroll down and Click on "Add Attachments" link in the Edit pane. Click on Save to complete adding attachment to list item. write-host  -f Green "Attachment Added to List Item!" write-host -f Yellow "Attachment File Name Exists already!" I am getting error on 49thline. Parameter name: Specified value is not supported for the parameters parameter." If I remove the line, script has been ran successfully. But File has not been uploaded.Please help.